Whether you choose to evacuate your home or ride out a tropical storm or hurricane, your focus should stay on your family’s safety. Self-storage gives you peace of mind that the property you have in that space remains protected in bad weather. 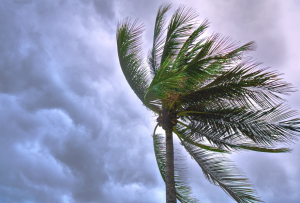 Once the wind and rain have passed, though, it’s not a bad idea to include self-storage needs in your post-disaster plans. We at Eden Way Storage Center hope you experienced no problems during Hurricane Florence. Now that the skies are calming down, it’s important to assess any damage sustained and go from there. If you already had some of your possessions in a climate-controlled storage unit, you may want to check up to ensure everything is okay. There’s another reason you may want to visit your unit after a bad storm, too. In the event your home needs repairs, you may have to add furniture or other things to your storage space as you prepare for renovations. Check your current unit to assess how much more you can stow, or to see if you need to upgrade to a larger unit. If you don’t have self-storage, you may want to consider renting a unit as part of your next emergency preparedness plan. Eden Way Storage Center offers specials for new renters and military discounts. Anything you have to remove from your house after a storm should be checked for damage, dried completely to prevent mildew, and – depending on size – stored in an airtight bin. Take pictures of any damage on furniture and larger objects you wish to keep, so you have them for insurance records. Using self-storage helps take away some of the worries while you concentrate on fixing your home. Please contact us with your questions about Chesapeake self-storage. We are happy to help, rain or shine.